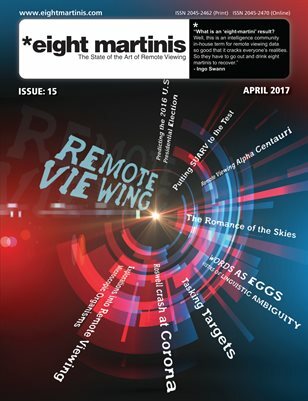 Eight Martinis remote viewing magazine issue 15 is packed full of remote viewing examples, projects, resources and experiments. Words As Eggs - Vistas Of Linguistic Ambiguity.- DR. David Shaver, N.C.Psy.A. Daz Smith Full Roswell RV session.